What should we make of the back-to-back wins that opened Gregg Berhalter's tenure as U.S. men's national team coach? January camp in one form or another -- there was a strike in 2005 complete with 22 replacement players brought in -- has been a fixture on the national team calendar since StubHub Center opened in Carson, California, in 2003. This year, there was a wrinkle: Berhalter moved the camp down I-5 to Chula Vista, near the Mexican border. Through the years, the camp has been poo-pooed as a waste of time, Camp Cupcake to cynics, and the results of the accompanying friendlies dismissed as meaningless. You shouldn't read too much into the 3-0 win over Panama and 2-0 win over Costa Rica on their own. The Concacaf rivals whom the USA could next face as soon as this summer at the Gold Cup won't ever be as weak as they were in the opening games of the year, both fielding experimental sides and fading badly in the second half. But Berhalter's first four weeks in charge checked a lot of boxes on his must-do list. -- Everything about the camp was drawn up with the idea there would be progression, a critical step for a program that was in limbo for almost 14 months after the loss to Trinidad & Tobago knocked the USA out of the 2018 World Cup. Berhalter drew up a plan, and it was executed to a T. For a program listing from doubt, to have things go right -- perfect wasn't necessary -- is a huge boost. -- Berhalter had talked a lot about introducing a new style of play and it actually worked. His talk of balance and spacing and disorganizing the opponent sounded like -- well -- talk, but it worked. He introduced new formations for the USA -- a 4-4-2 on defense transitioning to a 3-2-4-1 on attack with one of the outside backs -- in both games, Nick Lima -- sliding centrally to offer midfield support. Berhalter broke down aspects of the game to focus on -- things like attacking in transition and build-up from the goalkeeper, both of which led to the late U.S. goals against Costa Rica. Those formations are different from what Berhalter used at the Columbus Crew, but the USA stuck to one of his key attacking principles: wide play. It helped that Costa Rica -- by far, the better of the two opponents -- was gassed in the second half, but the USA broke the game open when Berhalter moved the left winger -- first Paul Arriola and then Jonathan Lewis -- higher up the field and they got open for balls served from Wil Trapp. √ Finally, Lima, who was a revelation in the role of the right back/central midfielder. -- Berhalter has brought new excitement to the team. That applies for both players and fans. Atlanta United captain Michael Parkhurst, a former national team player, said after Berhalter's appointment in December that the tough part for any coach will be to restore pride in playing for the national team and make players eager to get a call-up. Let's put it this way, "ugh," as Parkhurst described the feeling of being called up, is not what Berhalter will hear on the other end when he calls up players across Europe in mid-March. Nothing is going to appease some U.S. fans until the USA is headed back to the World Cup. Berhalter probably doesn't spent many hours worrying about the peanut gallery, but he certainly earned a lot of points in the last week with his attack-oriented approach. The USA only put two goals past Costa Rica in the second half on Saturday but it could have easily scored five or six goals. 8 comments about "Gregg Berhalter checks a lot of boxes on his must-do list". 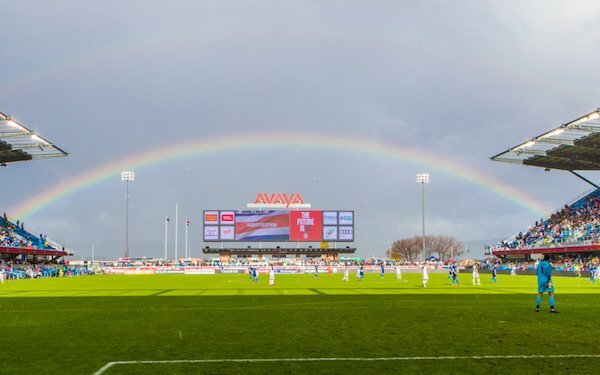 beautiful game, February 3, 2019 at 11:43 a.m.
Bob Ashpole, February 3, 2019 at 11:56 a.m. I agree with Paul's comments. The second half was the best I have seen from Trapp, but the problem still remains that we need 90 minutes of good play not 89 or 45. It is encouraging that he ended strong instead of losing effectiveness. It was a good coaching decision to leave him on after the poor first half. And that applies generally too. What I liked most about these matches is how the team was coached. Results in all friendlies by definition don't matter. Performances, however, do matter. Bob Ashpole replied, February 3, 2019 at 12:01 p.m. I didn't see the attacking formation as a "3241". I saw the familiar WM. Attacking mids are the modern name for inside forwards. John Soares, February 3, 2019 at 12:03 p.m.
Of course the jury is still out this was a pre-trial. But it WAS an exciting, full of energy game. If in fact it occasionally lacked finesse they for the most part made up for it with spirit and effort. True this was not a strong opponent, neither was the USA at full strength. Overall very enjoyable and full of promise. Bob Ashpole replied, February 3, 2019 at 12:33 p.m. There is a difference between "energy" and "speed of play". I doubt the coach was satisfied with having "energy" instead of "speed of play". In the sport "spirit and effort" never make up for tactical and technical deficiencies. Entertainment value is different and a reflection of the fans. Paul Berry, February 3, 2019 at 8:01 p.m. They should move the camp to Portugal, where a lot of European teams train over the winter. That way the yanks abroad would be able to attend a few sessions. Have McKennie and Pulisic even met Berhalter? Christopher Osmond, February 3, 2019 at 9:25 p.m.
For me, finding the number 10 in midfield is critical. We really haven't had a playmaker like Ramos, and then Reyna for a long time--Dononvan/Dempsey aside as they were "tweeners." GB needs to find this player. However, it was very nice to see new players getting trials, of which many were noted in the article. I hope he cast just as wide a net for the European/Mexican based players as well. Bob Ashpole replied, February 4, 2019 at 12:41 a.m. The days of having all attacks go through one player (playmaker) were over when man to man defenses were replaced by zones. Now attacks have to come where the zone has broken down through rapid ball movement stretching the shape rather than through losing a marker. One playmaker is not optimal to cover both flanks and the center. It would also make the attack very predictable. Ideally you want all 3 CMs in a 433 to be able to act as playmaker. When properly positioned, that gives the team good coverage centrally as well as on the flanks.